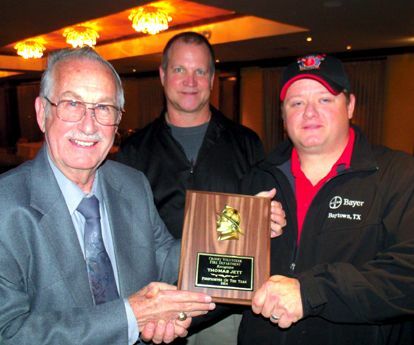 HIGHLANDS The Volunteer Fire Department held their 2015 Installation Banquet and Awards ceremony Saturday night, January 17th at the Monument Inn. Named to the top award as Firefighter of the Year by popular vote of the firemen, was Firefighter Patrick Brown, who also received awards for Top Ten Responder (2nd high) and 5 Year Service Award. Brown had 252 responses during the year, almost one per day. Chief Little also reviewed the department accomplishments and history of service calls for 2014. Safety remained a priority, with no major at fault accidents. A new Dodge Diesel ambulance was put into service, and two new engines were ordered, to replace E17 and E27. They will be put into service in the first quarter of 2015. Sleeping quarters for firemen were built at Station 17, and design work was started to rebuild Station 27 on E. Wallisville Road. Little said that goals for 2015 included purchasing 20 new radios, upgrade bunker gear, and increase the number of volunteers, which now stand at 44. Glenn Chisholm reported on accomplishments in the training of new members, and training and certification of existing firefighters. Tracy Neathery reported on EMS accomplishments for 2014. The department has a new Lucas mechanical CPR device. Their heart monitor is a sophisticated device that has 12 leads. This department now has 20 part time paid crew, including 4 EMT, 4 Intermediate, and 12 Paramedics. One ambulance is manned 24 hours, 7 days a week, every day of the year. The other ambulance runs at Peak Hours, 8 am to 6 pm. In the last year, they had one CPR call where the patient had no response in cardiac arrest, and the crew was able to revive him to funn recovery. Chief Little reviewed the history of the department for 2014. He noted that there were 2234 calls for service: 1768 EMS calls of which 984 required transport to a hospital, and 426 fire calls. Life Flight was called 19 times. The department responded to 161 Motor Vehicle Accidents. Little noted that the totals were all up about 10% from the previous year, and attributed some of this to population growth, and more capability in the HVFD department. Membership in the HVFD stands at 70: 44 regular, 4 apprentices, 2 juniors, 17 retirees (not in the total), 20 EMS part-time. Other awards presented by Chief Little included Citizen of the Year, to Terri Hotchkiss, and Business of the Year, to Goings Custom Processing. CROSBY  A six and a nine year old boy were killed and two adults were taken by Life Flight helicopters to Hermann Memorial Hospital with critical injuries following a head on collision on Thursday, January 15 on the Beaumont Highway near the San Jacinto river. Harris County Sheriffs Accident Investigator Deputy R. Wagner indicates the wreck occurred at about 6:25 p.m. between a 2007 Chevrolet Equinox, westbound in the 19200 block of Beaumont Highway and a 2014 Chevrolet Malibu traveling east. The Equinox driven by Mrs. Figley, a school teacher at Crosby ISD, had the two boys, both pupils within Crosby ISD, in proper restraints and the Malibu was driven by a graduate of Crosby High School two years ago. The driver of the Malibu was determined by investigators to have attempted to pass another eastbound motorist and lost control of the vehicle and crossed into the westbound lane striking the Equinox head-on. Beaumont Highway is a single lane in both directions and there had been heavy fog reported near the river the early morning before the afternoon crash. Much of the local school district was stunned by the loss through press time. CROSBY  For those of us that have experienced delays going to work, Jack Morman is working on alleviating that situation. 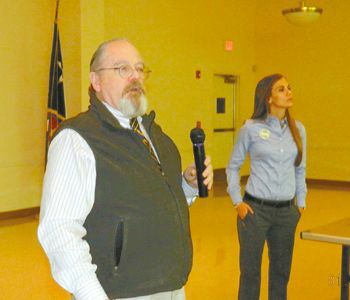 Precinct 2 Commissioner Jack Morman addressed the Crosby-Huffman Chamber of Commerce on Jan. 15 concerning projects being done and those that are proposed as works in concert with other governmental agencies. 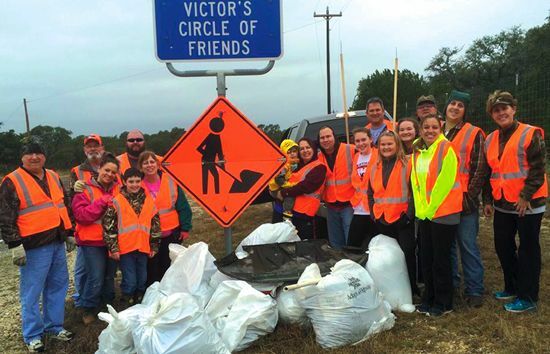 The infrastructure widening of FM 2100 south of U.S. 90 to F.M. 1942 is entirely within the states hands but Morman indicates it is a project pending a contract with the State. And that TXDoT is finalizing designs to make that portion fit with Precinct 2s design to widen FM 2100 through Barrett Station. FM 2100 is unique because part of it belongs to (Precinct 2) and part of it belongs to (Texas Department of Transportation). Weve already started that process and were making good progress on it. the Commissioner said. While that may relieve some concerns, that award in total hardly comes close to an amount needed to clean up the waste pits. Certainly it will take partnershiping to make some of northeast Harris County a safe place to live. 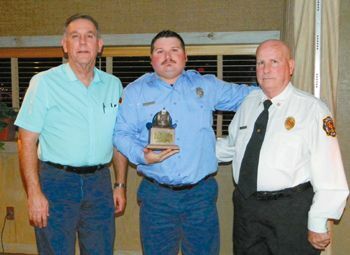 KEMAH  The local fire department has celebrated a busy but successful year here with comraderee and enthusiasm. In 2014 Crosby Volunteer Fire Department ran 922 calls. A few less than last year but 836 calls were from inside their District which covers the same land mass as Crosby ISD, it is one of the largest square mile districts in the State of Texas. Last year only 808 were inside their district. During this busy year they decreased their response time to 9.77 minutes down from 10.42 minutes a significant reduc tion in response time. With Harris County Emergency Response District #5 in partnership the Harris County ESD#80 (the taxing entity for the local fier department) signed an agreement during December to begin construction of of a heliport pad and an instrument guided flight pad to Crosby Fire Station #1 (the station on US 90.) This will enable Life Flight helicopters to land in Crosby during inclement weather. It is said that this development will be a valuable service to varied E.M.S. departments not only including Crosby paramedics but also Dayton, Liberty and Mont Belvieu once completed. 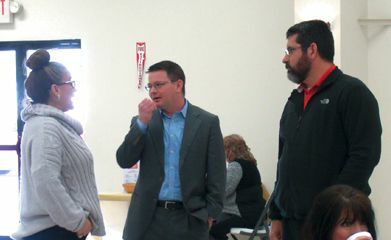 HIGHLANDS  Concerned residents of this town met on Tuesday evening at the Community Center, to hear an update on the trial of alleged polluters in the San Jacinto river, that have endangered the health and economy of the townspeople. Making presentations were Harris County attorney Rock Owen, and Environmental activist Jackie Young, representing TexansTogether and San Jacinto River Coalition. 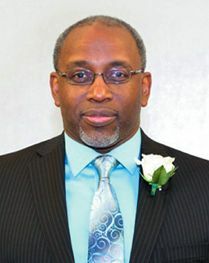 Owen had been the lead attorney at the two month trial that ended in November, with the result that $29.2 million dollars in fines were assessed by the Harris County court against Waste Management and its predecessor disposal company, McGinnis. These companies settled with the county by agreement. However, Owen said that the third defendant company, International Paper, was acquitted by a jury on a 10-2 vote of any responsibility for the pollution. Owen said the County is planning to appeal this decision, because many facts were excluded from the deliberations by the presiding Judge Caroline Baker. Owen and County Attorney Vince Ryan have said that the proceeds, $29.2 million, will be split between the legal fees, the state general fund, and the county general fund. However, the purpose of this meeting was to get public input on suggestions for a better use for the monies, with the idea that commissioners court, and perhaps the state, would return the monies to the community if worthwhile projects could be proposed. At present, the County Commissioners have discretion on how the money is used for their share. 8. Further testing of sediment and water quality in the river, over a period of time, and after storms. Owen pointed out that under current law, the county cannot pay expenses of individuals who have suffered health problems or injuries. However, he noted that several private lawsuits were being pursued with this goal. He noted that groups have a better chance than individuals to win this type of lawsuit. Owen also said that county attorney Vince Ryan was committed to having the toxic materials removed completely from the river and the community. Besides the county lawsuit, there is also a federal EPA Superfund Site procedure, and private lawsuits still to be adjudicated, he said. Owen noted that looking at a larger picture, it is possible that the state legislature will try to limit local authorities from being able to sue on environmental issues, which would not be in the best interests of area citizens. Owen said that the county at present has no tools or authority to deal with people who are already sick or hurt by pollution. Only private suits can bring any type of relief or compensation at the present time. Municipal water in Highlands is currently piped by the HCWICD from Baytown Area Water Authority, which is supplied from the Trinity River. However, many homes are on wells, not the water system, and may be subject to polluted water in their wells. Bob Allen, who works for Harris County Pollution Control, told the group that the Texas Health Department was planning a study of the area, to survey birth defects and cancer rates. However, this is not a full epidimiology study, which would require additional funding.